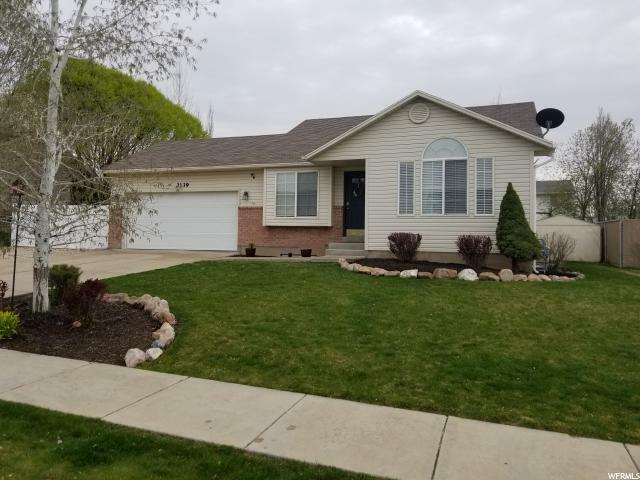 All Clinton homes currently listed for sale in Clinton as of 04/21/2019 are shown below. You can change the search criteria at any time by pressing the 'Change Search' button below. If you have any questions or you would like more information about any Clinton homes for sale or other Clinton real estate, please contact us and one of our knowledgeable Clinton REALTORS® would be pleased to assist you. "What an amazing opportunity to Live and breath the country lifestyle in our Premier and exclusive 1 acre lots at Stonegate Preserve! We're conveniently located near a golf course, walking trails. shopping and a soon to come new elementary school. YOU and the Builder work together to customize a plan to meet your every want and need. High quality is our standard. Come see what Davis county residents are so excited about...you'll notice the difference! We're now taking reservations for Phases II and III, but they're going fast! Best acreage deal anywhere!! **All lots are exclusive to our Custom Builder** CAN NOT purchase additional lots for livestock"
"This amazing model home is just 18 months old! All the upgrades including main floor master bedroom with vaulted ceilings, custom cabinetry with granite throughout, plantation shutters, over sized kitchen island, mud room, custom railing, covered patio and HUGE double-deep 4 car garage. Perfectly located near shopping, schools and freeway access. Clinton Rec and park just down the street and within walking distance to Parkside Elementary School. Includes 2 wall mounted TV's and refrigerator. " "This stunning rambler is a must see! This home is bursting with luxury, featuring vaulted ceilings, quartz countertops, pre-wired island pendants, stainless steel appliances, a gas fireplace, and laminate wood flooring. Enjoy those wonderful Utah sunsets on the spacious deck just off the dining room. 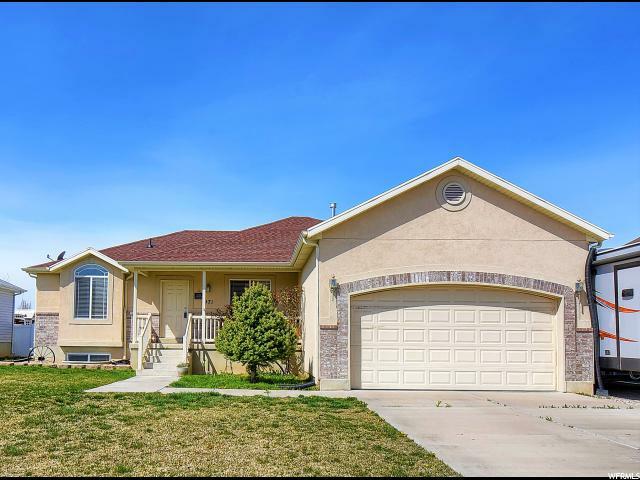 This home is truly better than new with a fully landscaped, fully fenced yard. Don't miss your opportunity to see this professionally designed, beautiful home. " "Amazing West-facing Rambler home in Cranefield, walking distance to Golf Course and community pool. The home is in model home condition, with 9 ft ceilings and extra tall doors throughout. Gorgeous quartz countertops in kitchen with large island. Spacious master bedroom and master bath with extra large shower. This home features a water purification system, water softener, hot water spigot in garage for washing vehicles. The basement offers high ceilings and perfect for large family gatherings. Room in basement for 3 additional bedrooms and 1 bath. The yard is completely finished and offers beautiful views of the mountains. Outdoor recessed lighting around exterior offer the finishing touches. " "Better than new, enjoy the fully landscaped 1/3 acre lot and beautiful sunset views from the enclosed porch. Perennial landscaping adorns the surrounding beds throughout the yard including gorgeous pavers and curbing. Enjoy the beautiful rich wood floors along with the complementary granite countertops in your open concept kitchen. There is plenty of storage space throughout the home. The roof, water heater and furnace are new, and many upgrades make this home something special. " "Beautiful new construction in a cul-de-sac on a large .35 lot. Amazing quartz countertops with white cabinets. Lovely great room with raised hearth fireplace. Jetted tub in the master bath. Waterproof vinyl floor planks in the great room, vaulted ceiling and large walk-in pantry. Front yard has sod and sprinklers. " 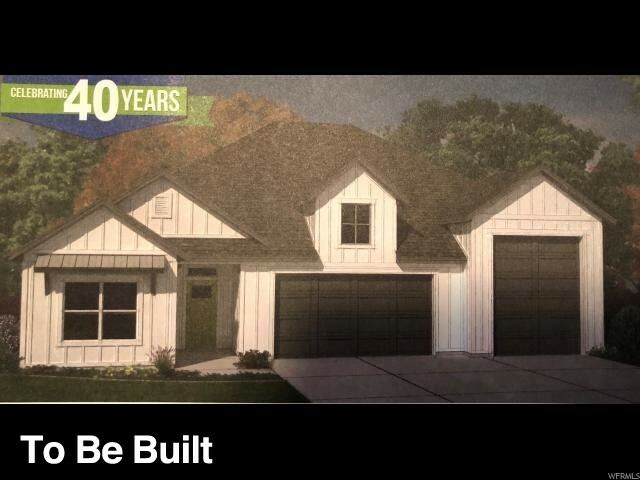 "Beautiful brand new 1700 Traditional home plan near golf course! Features so many great amenities! 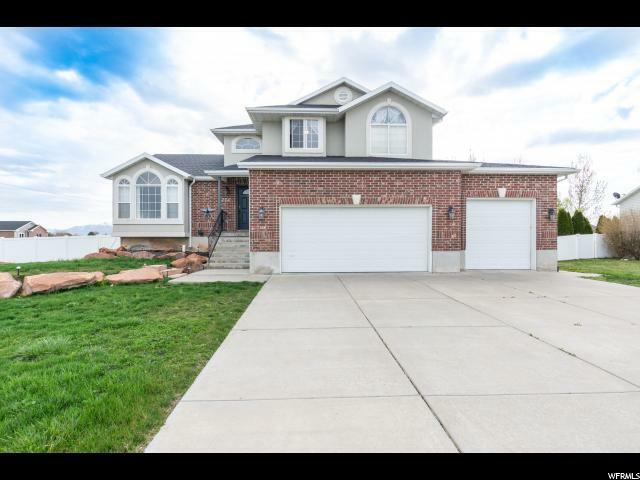 3 car garage, gorgeous bay windows, can lighting, christmas light package, stainless steel gas appliances, 2 tone paint, granite counters, grand master bathroom with tile surrounds, laminate flooring, large base and casing, 8 foot interior doors and so much more! " 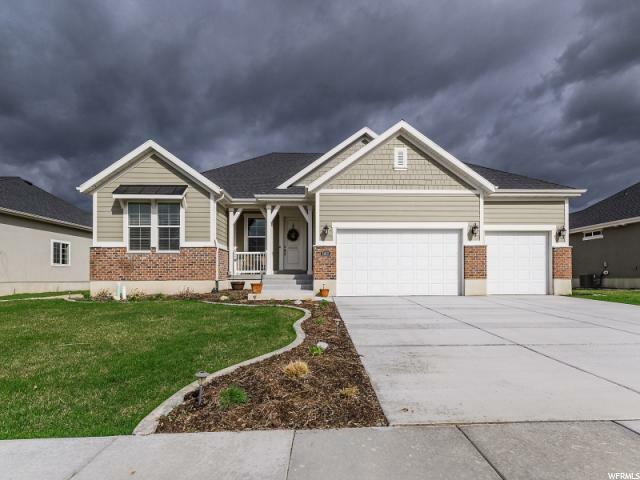 "The Harvard home design in the Town Point community in Clinton offers an open floor plan with vaulted ceilings, a huge walk-in pantry and a wall of windows that create a beautiful bright open space. Granite counter tops and knotty alder cabinets are just a few of the many included amenities. Large master bedroom and bath with a WIC. 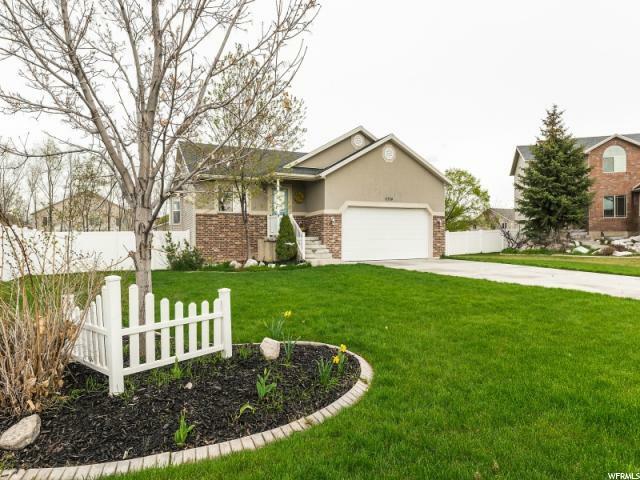 This home includes a complete yard and a fully fenced back yard. This home comes with a 10-year warranty. This home should be complete sometime in the middle of May. " "The Fairfield RV patio home is one of our newest designs. It offers an open floor plan with 9' ceilings, a large walk-in pantry and a wall of windows creating a bright open space. Granite counter tops and knotty alder cabinets are just a few of the many included amenities. Large master bedroom and bath with a large WIC. 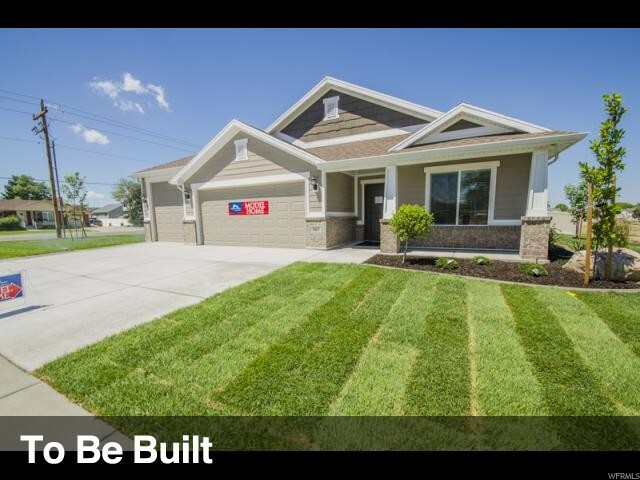 Price includes complete yard landscaping, full yard sprinklers and a fully fenced back yard. You will visit our new design studio to choose from many available options for your home. This home comes with a 10 year warranty. This home has not been started yet. Picture is an artist rendering of a future home. 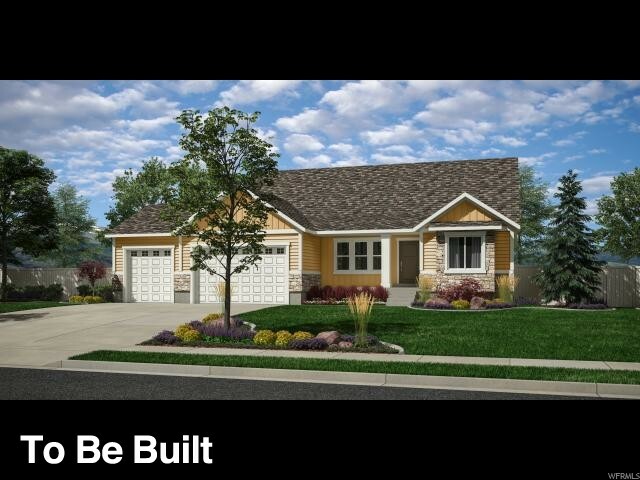 Price reflects The Fairfield floor plan craftsman elevation with an RV garage and a preferred lender incentive. " "This home features an open floor plan, lots of light through the home with the Great Room open to the Kitchen. The Kitchen features a large island Stainless Steel appliances and a pantry. Well kept home with updated flooring through out. The Master Bedroom Suite features a large jetted tub and separate shower. Nice size yard with patio that is fully fenced. Extra RV parking. This home is located close to great schools and parks and is a short drive to shopping and entertainment. Come take a look today! " " PRICE REDUCED!! New Construction, act now while you can still pick your colors! 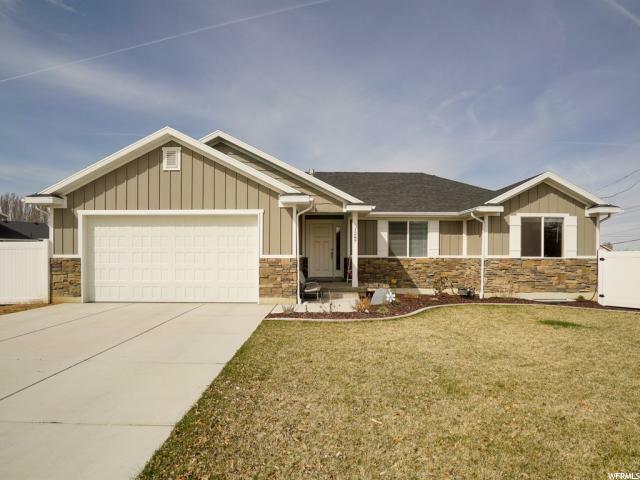 Open spacious Rambler, the kitchen is loaded with staggered sky scape, white knotty alder (included if picked) cabinetry with thick trim and moldings, island bar with granite counter tops throughout. Large great room with cathedral ceilings, 2 tone paint.The windows and doors are all trimmed for a clean sharp look, 1/2 bath off the garage for convenience, main level laundry, grande master suite with a, WIC, and separate shower and garden tub with intricate tile design in the master bath, with double sinks and granite counter tops, full unfinished basement, can be completed for an add'l $39,000, 2 car garage, to many amenities to list, other lots avail. Make offer!" "Main level living! - Great Rambler Located just off the golf course, this home features spacious box bay windows in the nook and master bedroom, a grand master bathroom, extended garage with exit door, maple cabinets with trim, adult height vanities, stainless steel gas appliances, quartz kitchen counters, tile accent surrounds in the bathrooms, chrome hardware, 2 tone paint, textured walls, modern base and casing, laminate flooring and so much more!" "Brand new 1625 Colonial II rambler home in a great community near the golf course! So many amenities! 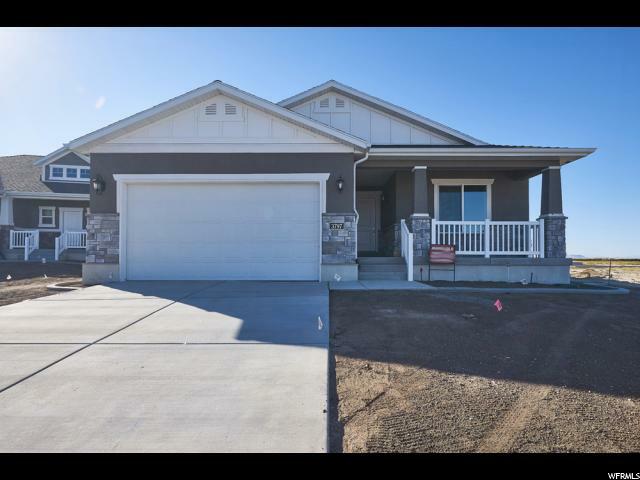 Features spacious bay windows, can lighting, 2 tone paint, stainless steel gas appliances, granite counters, grand master bathroom with tile accent surrounds, stylish white cabinets, laminate flooring, 8 foot interior doors, large base and casing and much more!!!" "The Harvard home design offers a open floor plan with vaulted ceilings , a huge walk in pantry and a wall of windows that create a beautiful bright open space. 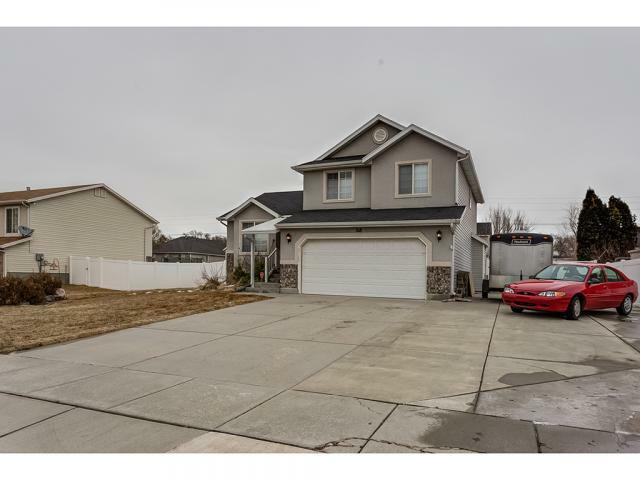 The home has a very large kitchen with granite counter tops and beautiful knotty alder cabinets. Large master bedroom and bath with a large WIC. 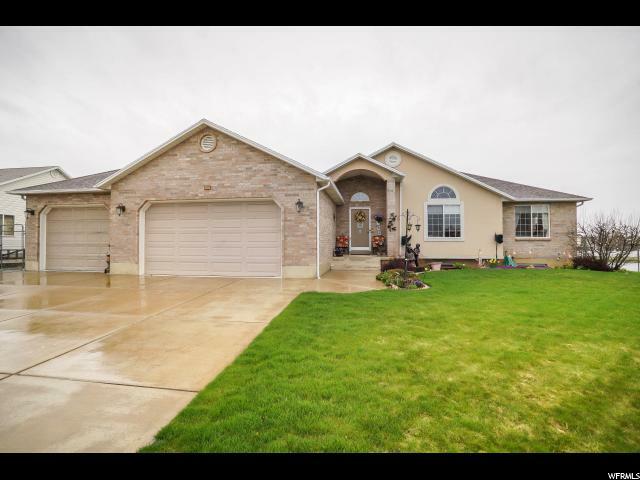 Price includes full landscaping , sprinkling system and fully fenced yard. This home has not been started yet, so you will visit our beautiful design studio to choose from many available options for your home. This picture is of a similar home . The price reflects our preferred lender incentive 04/01/19. " " PRICE REDUCED!! New Construction, act now while you can still pick your colors! Open spacious Rambler, kitchen is loaded with staggered sky scape knotty alder cabinetry even white is included. Island bar and granite throughout home. Large great room with cathedral ceilings, 2 tone paint, windows and doors are all trimmed for a sharp look. Grande master suite with a WIC, separate shower and garden tub, with double sinks. Basement can be finished for and additional 45,000. Other lots available. Make offer!" "MOVE IN THIS SPRING!! Terrific Two-Story with 3 BDRM, LOFT, 2 1/2 BATH, BONUS ROOM! Open concept Main Level, perfect for your family or entertaining friends! Double sinks in Master en-suite, Stainless steel gas range, dishwasher, microwave, and disposal. Cherry Java cabinets with White based granite, re-claimed wood look life proof vinyl floors, cool color tones right on trend. NEW EVERYTHING- Ready to occupy estimated in May. Near 2 parks to feed the ducks, catch a fish, or play sports! No HOA. " 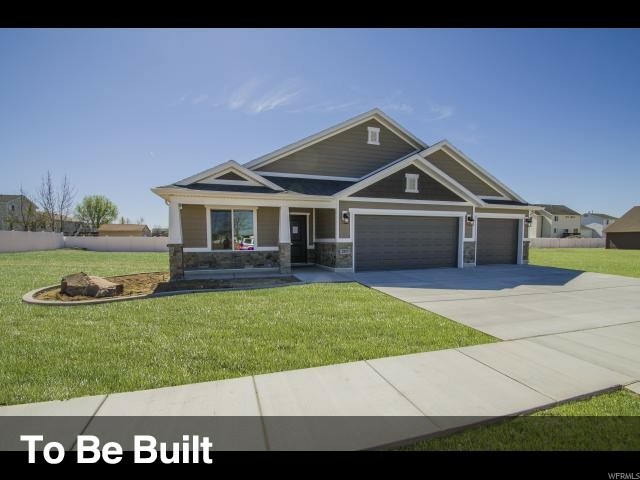 "Welcome to this beautiful home that was featured in the Parade of Homes! 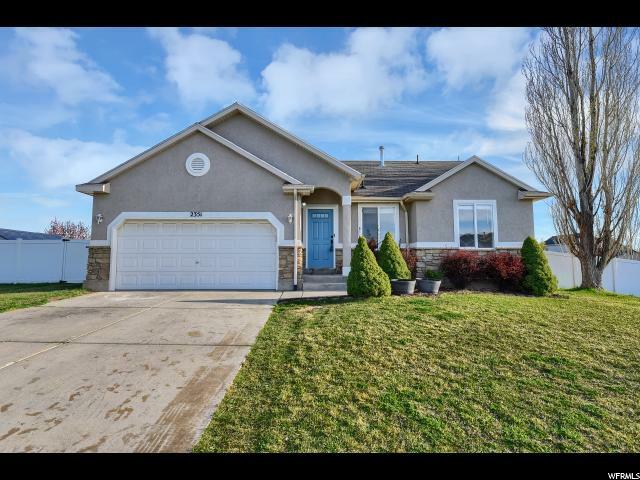 With this home being right across the street from Kestler Park and the large half acre fully fenced yard this home is perfect for entertaining! The deck is trex and there is a fire pit, and since the home is west facing the backyard is nice and shaded. The kitchen is spacious and open with vaulted ceilings. The basement has been framed and the electrical work has been completed. There could be two additional bedrooms and a large playroom or storage area. Square footage figures are provided as a courtesy estimate only and were obtained from county records. Buyer is advised to obtain an independent measurement." " This one has it all. Just across the cul-de-sac are the fully stocked fishing pond and walking path. Relax or play in the fully fenced yard or on the huge new trex deck or around the fire pit. Maybe enjoy a movie in the beautiful, newly finished basement. Of course, you won't even have to go down stairs if you don't want with the master suite, the laundry and kitchen/great room all on the main floor. Enjoy quartz counter tops, the new furnace and air conditioner, the whole house humidifier, and solar panels that are paid for to keep your electric bills around $10 per month. The basement is wired for surround sound and CAT-5 "
"Better then new !! Fully landscaped yard with new white vinyl fence, auto sprinklers, garden area and above ground pool. Rock and vinyl siding exterior. 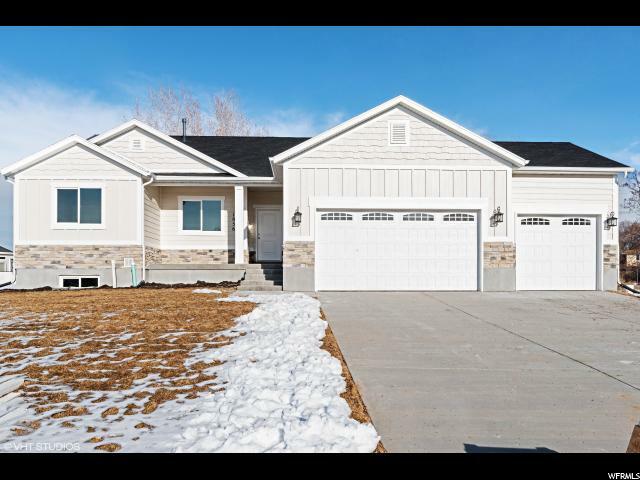 Large 2 car garage, Bright open kitchen with custom cabinets, granite countertops, and vaulted ceilings. 3 spacious bedroom master suite offers separate tub and shower. 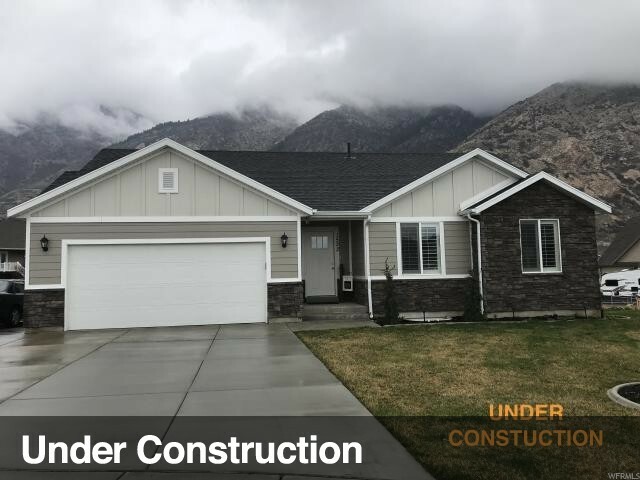 2 tone paint throughout, Home is close to shopping, schools, Hill Air Force Base and minutes from the freeway leading into Ogden and Salt Lake City. This home is a must see "
"The Stanford patio home design in the Town Point community in Clinton offers an open floor plan with vaulted ceilings, a huge walk in pantry, nice laundry room, and a huge master closet Granite counter tops & knotty alder cabinets are just a few of the many included amenities. You will visit our design studio to choose from many available selections for your home. This home comes with a 10 year warranty. This home has not yet been started - pictures are of a similar home that we have built. Price reflects a preferred lender incentive." "Updated Clinton home on a quiet street that's within walking distance of many stores and restaurants. Open floor plan with updated kitchen and stainless steel appliances. Large fully fenced backyard with mature trees and separate fenced garden area. Extended parking or RV storage behind gate. Solar system is 3 years old and will save you loads on utilities. Buyer to verify all information." " Come see this CHARMING CLINTON HOME ! This cute home has a ton of great amenities which include: LOVELY open kitchen,which boasts a cute bay window,spacious laundry room, beautiful wood laminate flooring on main level, double pane windows throughout, great Master Bedroom with a walk-in-closet,and much more! Step outside and enjoy additional desired amenities such as RV & additional Parking and nice sized lot with plenty of room in front and back to enjoy hanging out with friends & family, full landscaping with Vinyl Fencing, large patio, front & back automatic sprinklers,and best of all Adorable Curb Appeal and GREAT LOCATION. 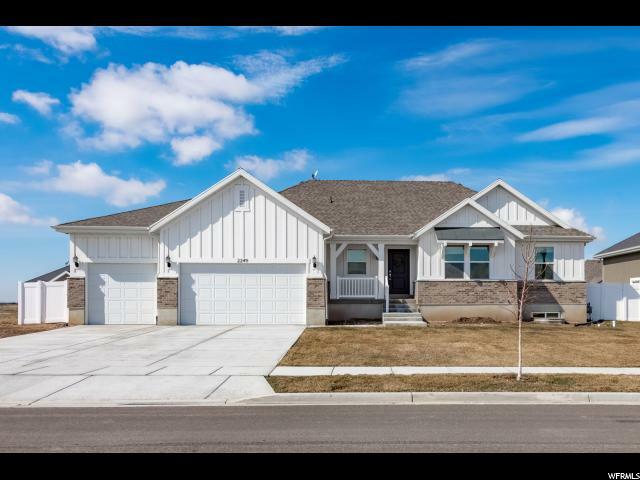 This home is nestled in a quiet, peaceful neighborhood just minutes away from HAFB, Freeport Center, Restaurants, Shopping and more. As well as Easy access to I15. This is a home you won't want to miss out on!! Square footage figures are provided as a courtesy estimate only and were obtained from county records . Buyer is advised to obtain an independent measurement." "Beautiful Clinton home is totally finished and move in ready! Inviting and open floor plan with lots of light. Remodeled kitchen with stainless steel appliances including a new dishwasher and microwave that are all included. New flooring, baseboards and trim upstairs and new flooring in the basement. Large master suite with his and hers closets. New LED lights throughout the whole house. Both bedrooms in the basement have double closets. Basement bedroom has an extra large and deep soaker/jetted tub (4'x7') with custom tile surround in it. Whole house humidifier on the furnance and water softner. Large laundry room with washer & dryer included. Awesome backyard is totally fenced with full basketball court and cemented hoops, gazebo, two lifetime sheds, and a lifetime playset and sand box. There is an awesome garden are and a mini orchard of mature fruit trees - peach, apple, apricot, pear, plum, and two cherry. You don't want to miss this house so call today to schedule your appointment! " "Just listed! 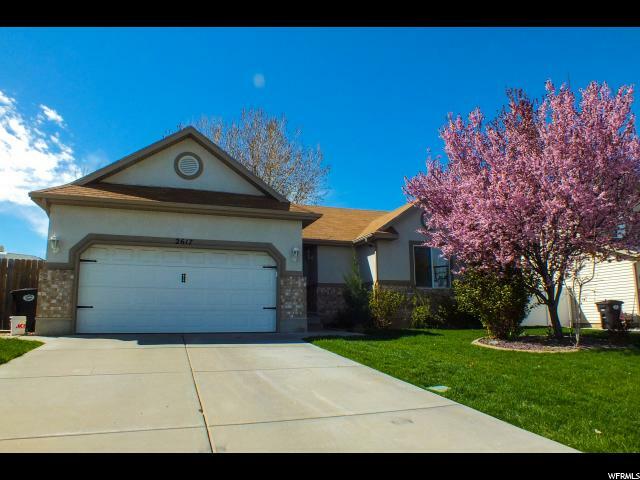 This rambler offers main level living, with vaulted ceilings and and open floor plan. It is just waiting for the new owners personal touch. Priced to sell! Check this out before it's gone. There are not many comparable homes in this area under $300k. Square footage figures are provided as a courtesy estimate only and were obtained from ______________ . Buyer is advised to obtain an independent measurement."